A wake-up call for G&T co-ops to better serve distribution customers. Last year, federal energy regulators ruled that Colorado cooperative utility Delta-Montrose Electric Authority could procure power outside of its contract with its generation and transmission power provider. The contract limited DMEA’s self-generation to 5 percent. The generation and transmission (G&T) cooperative, Tri-State, was not happy. It then filed with FERC to recoup lost revenue through a fee to distribution co-ops like DMEA. FERC denied Tri-State its request to impose that fee in a recent meeting, noting that such a move would undo the commission's previous ruling that electric co-ops like DMEA can indeed buy power from any qualified facility under the Public Utility Regulatory Policies Act of 1978. “[The ruling] could also lead to serious local economic development, as renewable facilities locate to the area to take advantage of our abundant renewable resources in Delta and Montrose counties,” DMEA CEO Jasen Bronec said in a statement. DMEA is not alone. Many distribution co-ops are in contracts similar to the one DMEA had with Tri-State that limit self-generation. There are more than 900 electric cooperatives in the U.S., and many are seeking to build out more local, renewable energy, often at the expense of G&T cooperatives that serve them. There are currently 177 megawatts of cooperative solar on-line and another 375 megawatts in the pipeline. According to the Rocky Mountain Institute (RMI), the community-scale solar market for municipal and cooperative utilities could exceed 10 gigawatts through 2020. GTM Research has estimated that the total U.S. community solar market will reach 500 gigawatts by 2020. 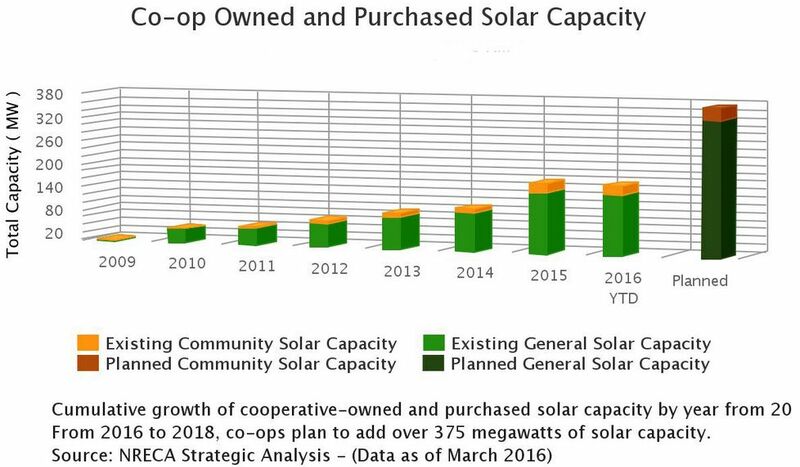 Currently, co-ops account for about a quarter of operating community solar, according to GTM Research. 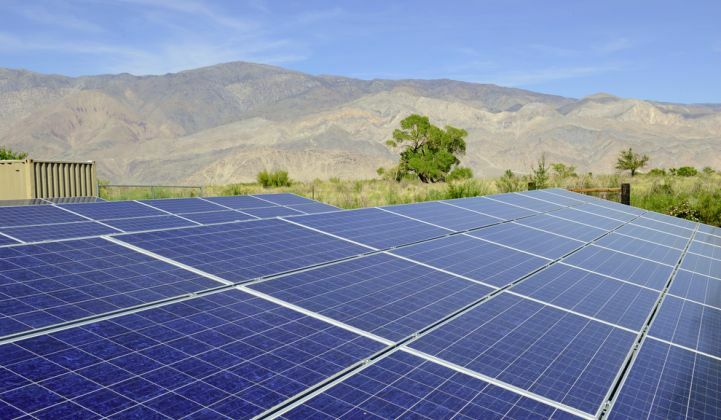 Now that self-generation caps have been lifted by FERC, RMI estimates it will open up a potential 400-gigawatt cooperative solar market. While most of the renewable energy for co-ops will likely be solar, some will also come from small-scale hydro and wind. Even if a fraction of that gets built, it will put significant pressure on the G&T cooperatives. “This ruling will most likely be a wake-up call for G&T providers to scale up procurement of solar on behalf of distribution co-ops, now that there's the risk of developers pitching projects directly to their co-op members,” said Cory Honeyman, associate director of U.S. solar at GTM Research. In Texas, for example, Pedernales Electric Cooperative, one of the largest cooperatives in the U.S., is building up to 15 megawatts of solar power in its territory. The projects will help offset peak power prices, but each site will only produce up to 998 kilowatts, just short of the 1-megawatt threshold that would require Pedernales to pay increased transmission fees and put it under the jurisdiction of ERCOT's wholesale generation requirements. “This FERC ruling is a clear sign that generation and transmission providers will need to work collaboratively with member co-ops toward a cleaner, more distributed energy future,” Rocky Mountain Institute’s Kevin Brehm wrote in a blog post. That can happen. RMI points to Wisconsin’s Dairyland Power as an example of a G&T co-op that is investing in 15 megawatts of community solar to better serve its distribution co-op members. 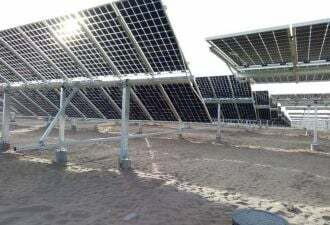 Smaller distributed solar projects for co-ops can move along faster, since they do not have to meet the requirements of larger projects tied into regional transmission grids. That’s a benefit for both G&T and distribution co-ops.